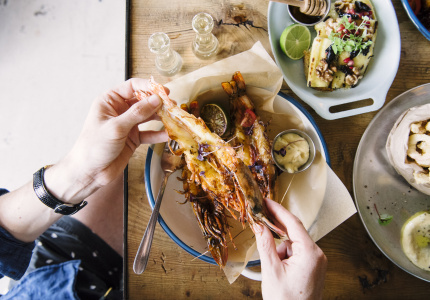 Exploring Sydney’s many cuisines and communities, week by week. 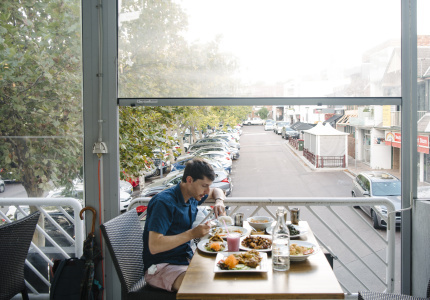 For many people in Sydney, dining out isn’t just a fun thing to do, it’s a part of their identity. 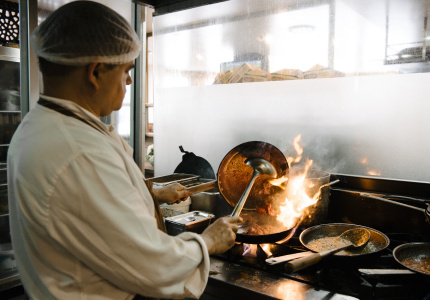 Whether it’s Southern Italian, Javanese or Uighur, almost every community has a place they go that represents them and their cuisine. 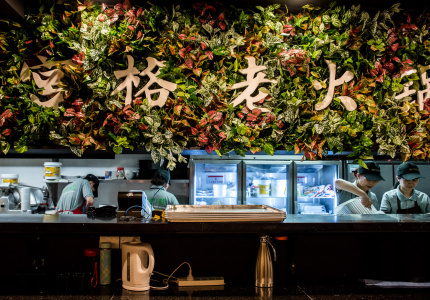 In this weekly series, Broadsheet’s Nick Jordan explores the eateries that are at the heart of the city's different cultural communities. 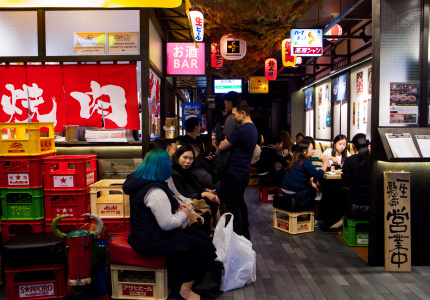 Food & DrinkThis tiny Japanese-style standing bar in Sydney’s north doubles as a ramen joint during the day. 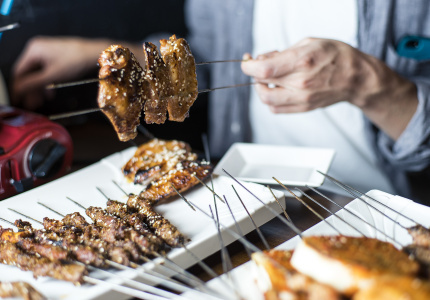 Food & DrinkHave a barbequed pork and taro-leaf-curry skewer, then get some Filipino chips on the way out. 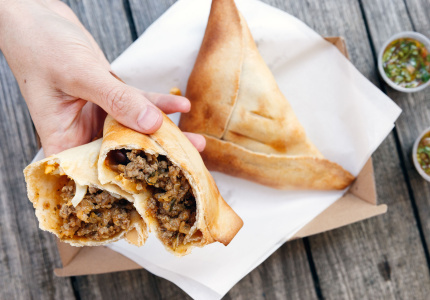 Food & DrinkGet generous-sized empanadas, avo-lathered roast pork sambos and dulce de leche biscuits at this Chilean street-food market stall. 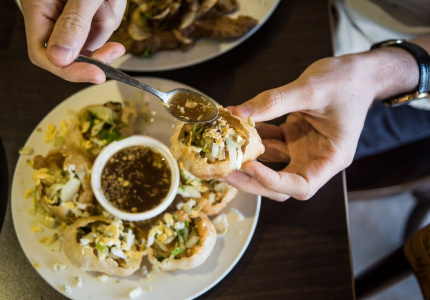 Food & DrinkLate-night Punjabi truck-stop fare specialising in goat curry, fried fish, okra and buttery naans. 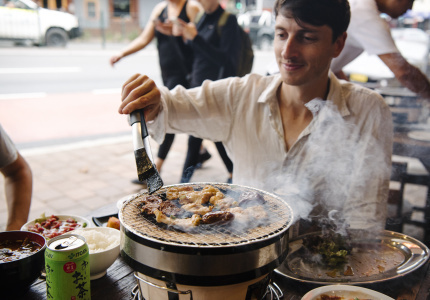 Food & DrinkThese restaurants helped popularise Korean barbeque in Sydney – and each outpost is totally different. 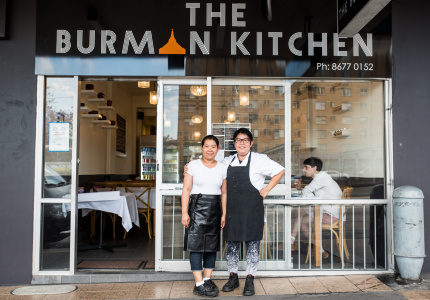 Food & DrinkA weekend-only Newtown diner specialising in one thing: Filipino-style suckling pig. Food & DrinkThis Malaysian diner does everything well, but you should order the coconut-grilled chicken. 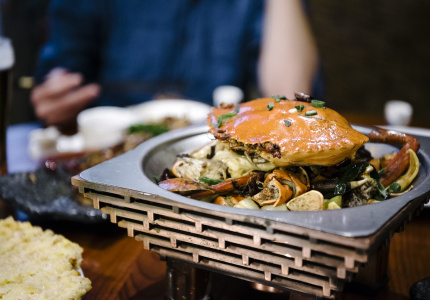 And BYO crab. 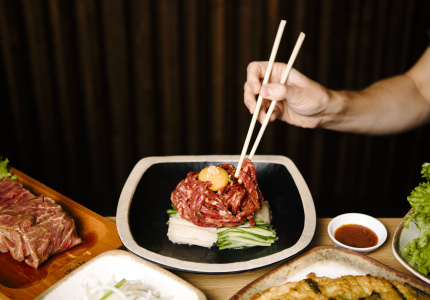 Food & DrinkThe best bang-for-your-buck Japanese barbeque in Sydney. 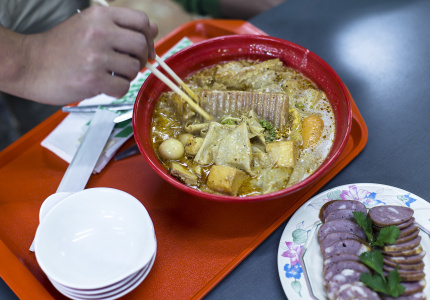 Food & DrinkHuge bowls of handmade thick-cut noodles for $12. 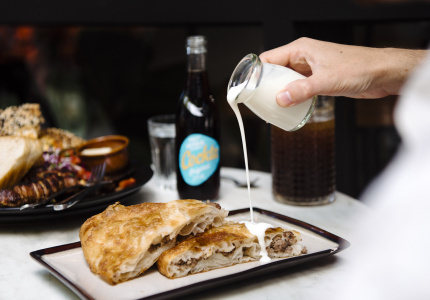 Food & DrinkOne of the best places in the city to eat Macedonian food, including thick sesame bagels with three kinds of cheese and crisp, golden burek made by a master. 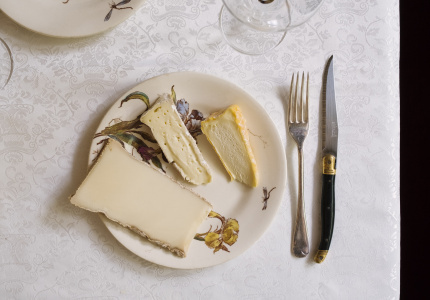 Food & DrinkThis little-known shop sells rare handmade French cheeses. 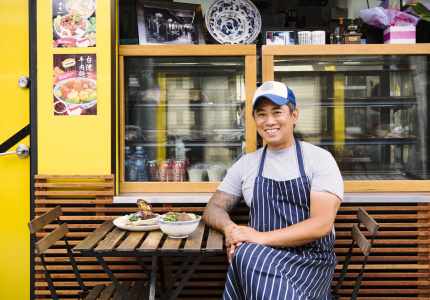 Food & DrinkLocal Knowledge is a weekly series that explores the eateries at the heart of Sydney’s different cultural communities. 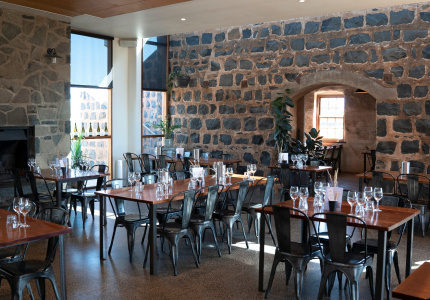 For the last instalment of the year, Nicholas Jordan, the series’s writer, shares his favourite five meals of 2018. 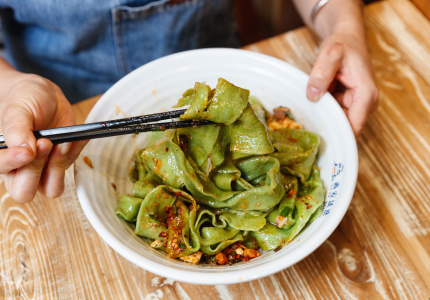 Food & DrinkA guide to Chinese cuisines and where to find them in Sydney. 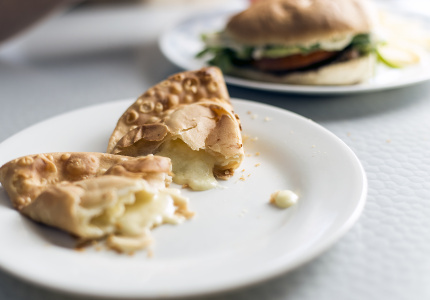 Food & DrinkBeef and egg empanadas and Argentinian sweets stuffed with house-made dulce de leche from a bakery with 40 years of experience. 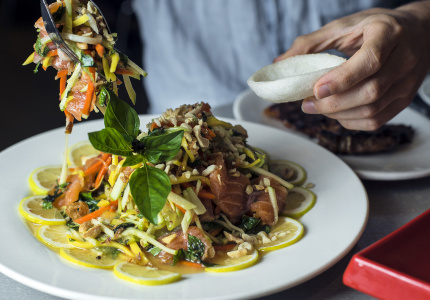 Food & DrinkA CBD northern-Thai diner channelling the late-night tapas dishes of a famous Chiang Mai market stall. 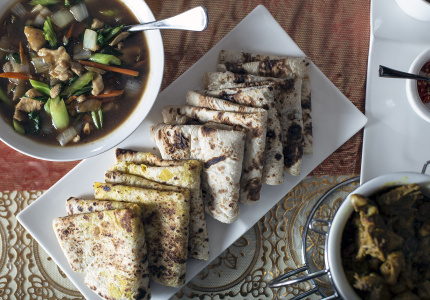 Food & DrinkPakistani breakfasts with hearty stews, tender spiced lamb shanks and crisp fried breads. 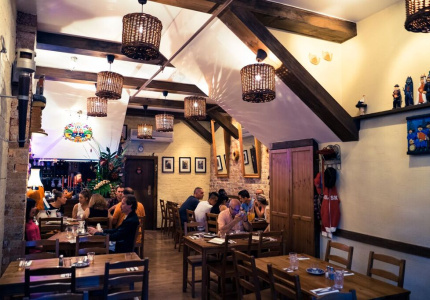 Food & DrinkGo Saturday nights for raki, music and 40 kinds of meze, or on the weekend for an epic multi-course breakfast banquet. 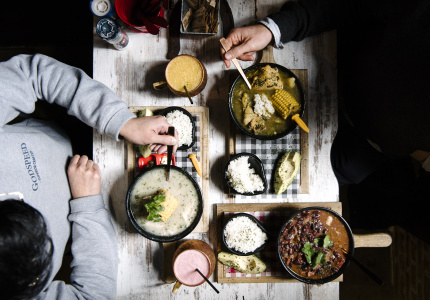 Food & DrinkThis Chippendale cafe does Colombian soups, tamales, arepas and on some nights, barbeque platters served to a raucous crowd backed by a traditional band. 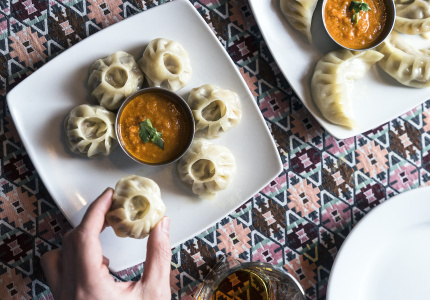 Food & DrinkPlatters of dumplings, thalis with buckwheat pudding and the Nepalese version of chow mein. 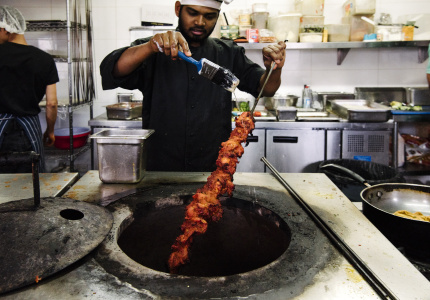 Food & DrinkHyderabad-style fried chicken and a $16 all-you-can-eat buffet. 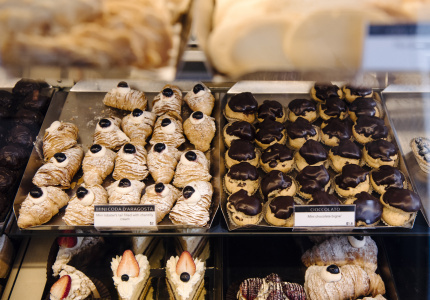 Food & DrinkThis traditional Italian pasticceria in Five Dock is where the Italians go. 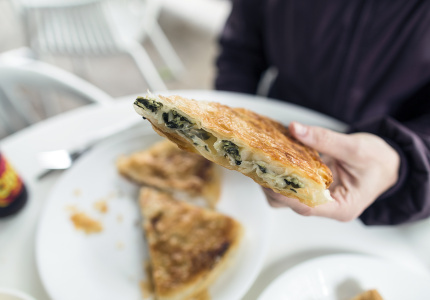 Food & DrinkA traditional Turkish bakery specialising in the Mediterranean’s most popular snack. 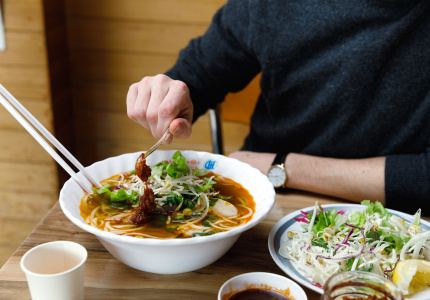 Food & DrinkHere Vietnam’s other beef noodle soup, bun bo hue, is king. 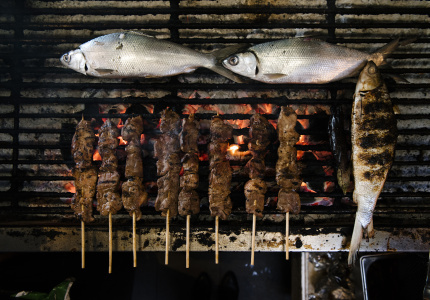 Food & DrinkStuffed squid grilled over charcoal; crisp-skin roast pork; and a bakery churning out purple yam cakes, flan and coconut rolls. 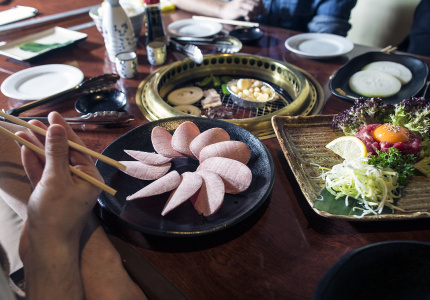 Food & DrinkBarbeque the Japanese way – tripe, highballs, rib eyes and Red Eyes. 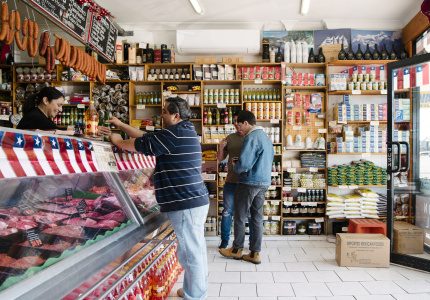 Food & DrinkFrozen in time, a Chilean butchery with an 87-year history. 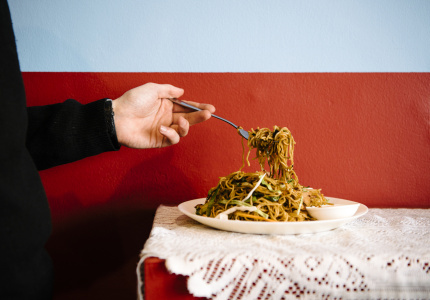 Food & DrinkA tiny Surry Hills restaurant serving a very different kind of Malaysian food. 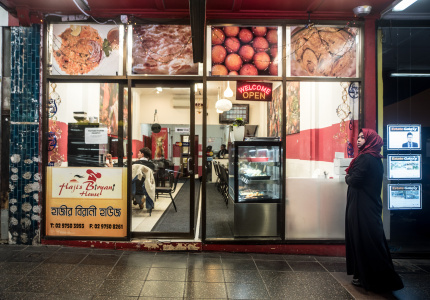 Food & DrinkAn old-school Pakistani buffet in Lakemba serving food that’s hearty, spicy and cheap. 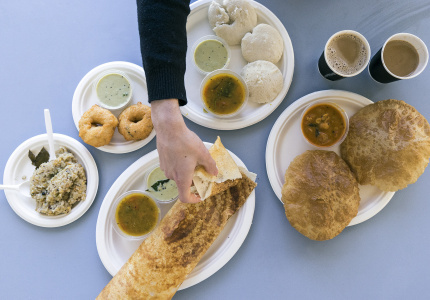 Food & DrinkHoppers for $1.50, curries from $4 and one of the best kottu roti in Sydney. 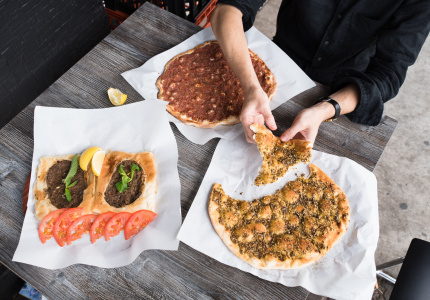 Food & DrinkA rare taste of Syrian food in Sydney. 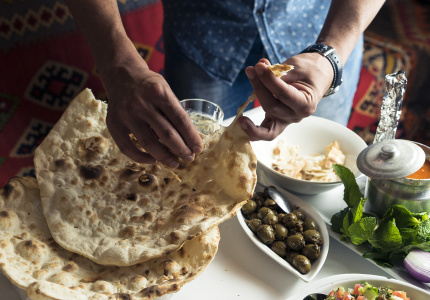 Try spiced beef dumplings, lamb shanks slow-cooked in yoghurt, okra stew and Syrian-style moussaka. Food & DrinkA restaurant serving hard-to-find Korean dishes. 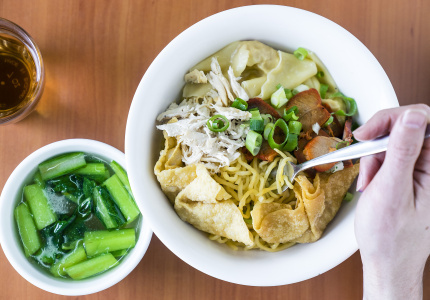 Food & DrinkDumplings for less than a buck, handmade noodles and a deli filled with smoked meats and sausages done in-house. 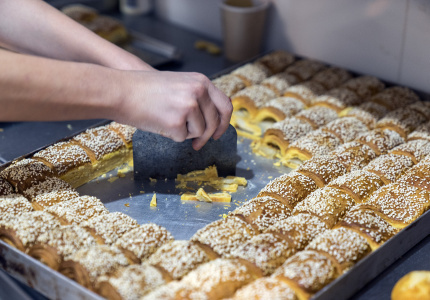 Food & DrinkTake a sesame bun, stuff it with hot knafeh and enjoy your very own hot-cheesecake roll. 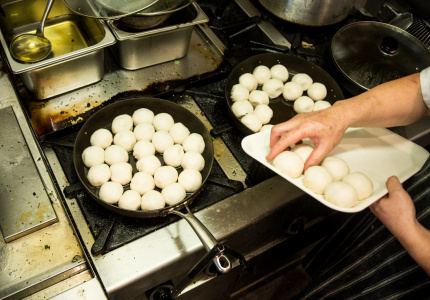 Food & DrinkAll-day, all-you-can-eat buffets from a diner serving the best Nepalese in Western Sydney. 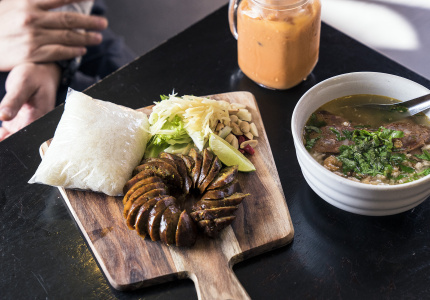 Food & DrinkOne of the only restaurants in Sydney serving genuine Isan cuisine. 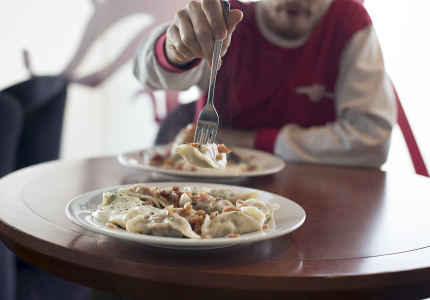 Food & DrinkTrade cutlery for sour pancakes, piled high with spicy stews, buttery raw beef and house-made cottage cheese. 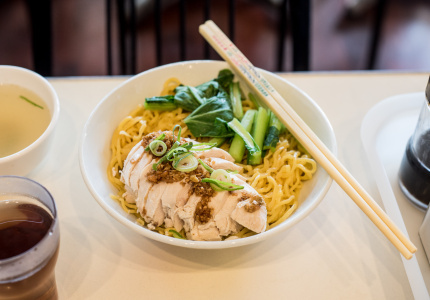 Food & DrinkTop marks for serving some of the best Malaysian in Sydney – all day. 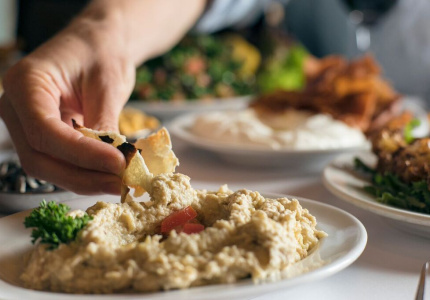 Food & DrinkThis 35-year-old Greek restaurant specialises in $35 banquets on the weekdays and live Greek pop on the weekends. 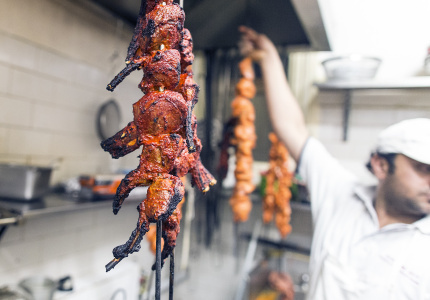 Food & DrinkA guide to all-you-can-eat buffets, biryani, sweets and late-night snacks. 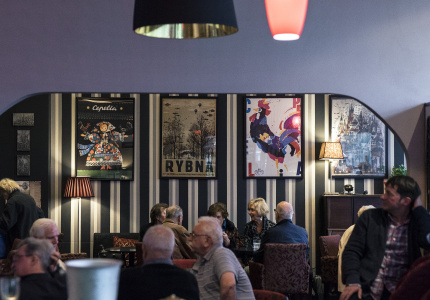 Food & DrinkSchnitzels, pork knuckle, sausages and beers at a beloved German club. 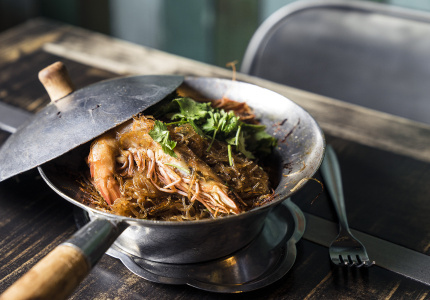 Food & DrinkA rundown of Thailand’s four distinct cuisines and where in the city to try them. 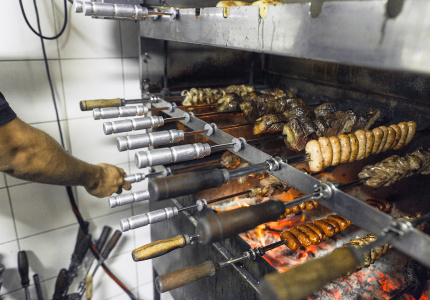 Food & DrinkBeef ribs, house-made chorizo, cheese-stuffed rolls of pork and blood sausage cooked on a traditional Uruguayan charcoal barbeque. 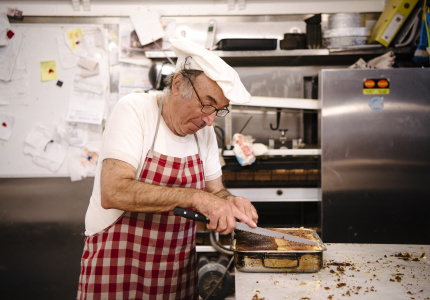 Food & DrinkStrudel, kuglóf, bagels and biscuits at Bondi’s 39-year-old Hungarian cake shop. 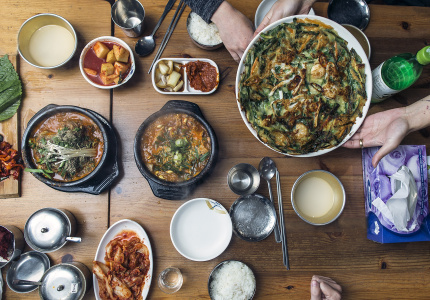 Food & DrinkTraditional Korean stews, hot-pots and banchan from the former owner of Eastwood's popular Jonga Jip. 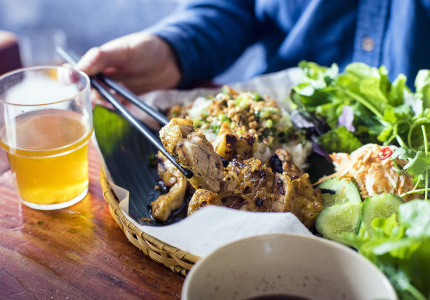 Food & DrinkSuperb Indonesian grilled chicken and freshly made gado gado in South Sydney. 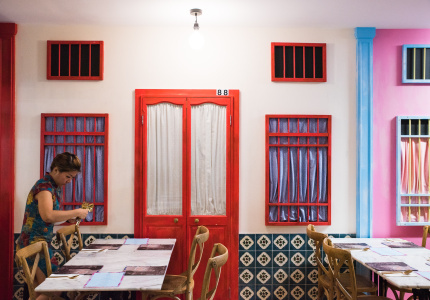 Food & DrinkLaksa, char kway teow and chicken rice in the hills district. 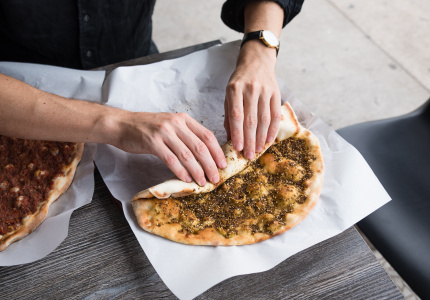 Food & DrinkLebanese sesame buns stuffed with cheese, pastries filled with pomegranate-sweetened lamb and za’atar pizza from $2. 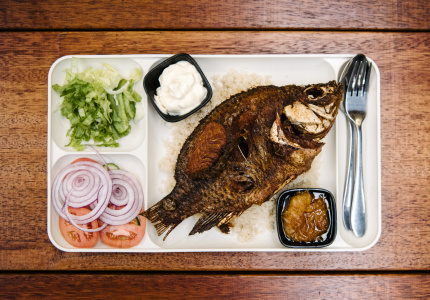 Food & DrinkThis Guildford restaurant offers a rare window into the cuisine of Sierra Leone. 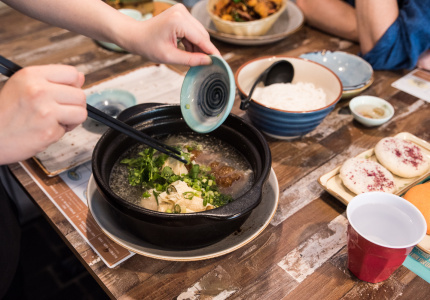 Food & DrinkCaramelised fish clay pots and lemongrass-heavy goat curry – Trung Ly wants to change people’s ideas of Vietnamese food. 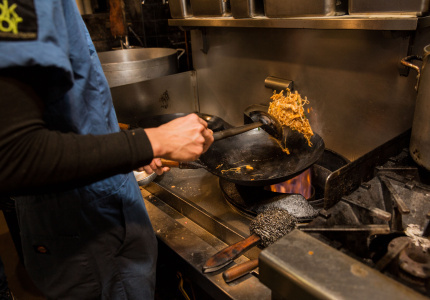 Food & DrinkCheap Indo-style fried noodles and fried rice – a student’s paradise. 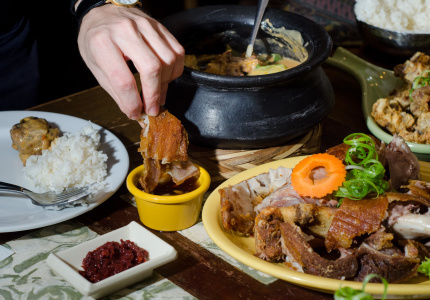 Food & DrinkServing the cuisine you never knew you needed in your life (especially if you're into duck). 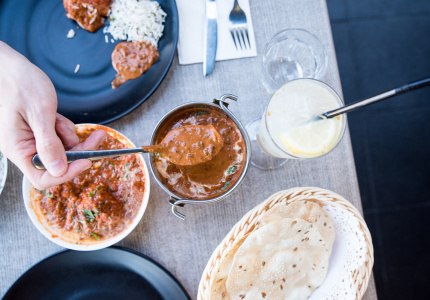 Food & DrinkThis swanky Harris Park venue offers some of Sydney’s best Northern Indian food. 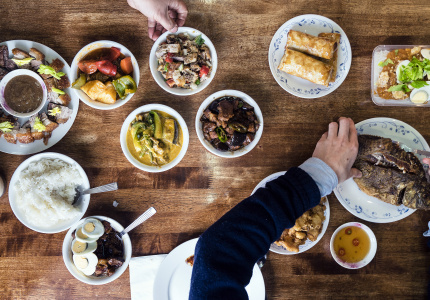 Food & DrinkA rare taste of Hokkien-style Penang home cooking. 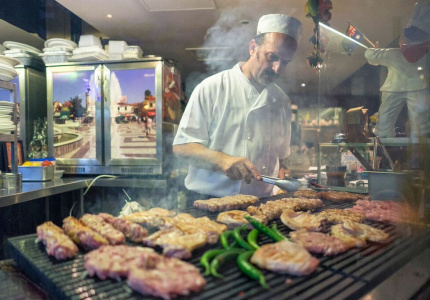 Food & DrinkGo for the slow-cooked meats cooked Balkan-style in an earthenware oven. 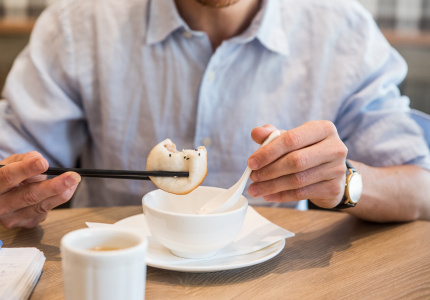 Food & DrinkPeppery pork buns and Taiwanese congee with doughnut dipping sticks for breakfast, and for lunch, handmade noodles and pork-fat-infused rice. 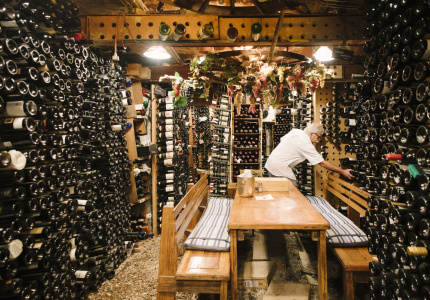 Food & DrinkA 50-year-old German restaurant with a 4000-bottle cellar and a killer pork knuckle. 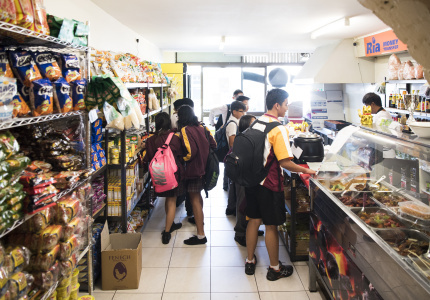 Food & DrinkA tiny grocery store with a Filipino barbeque, karaoke and a cult following. 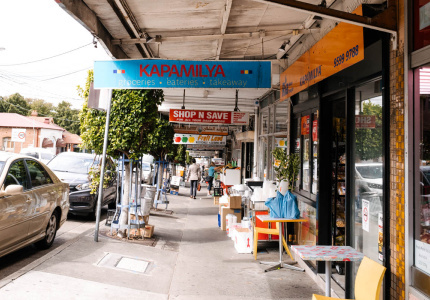 Food & DrinkSome of the best Sri Lankan food in Sydney can be found in a 25-seat Toongabbie takeaway shop. 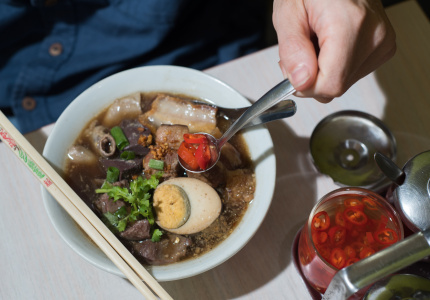 Food & DrinkShare a huge noodle soup-hotpot hybrid from China’s Yunnan province. 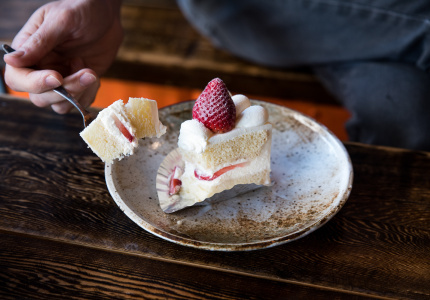 Food & DrinkJapanese-style strawberry shortcake and Mont Blanc. 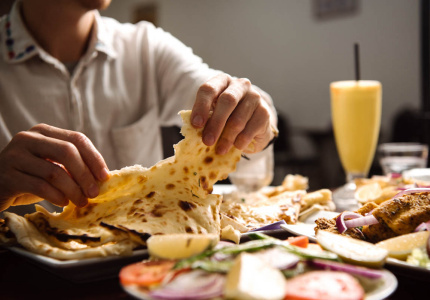 Food & DrinkClassic North Indian food – just better and fresher. 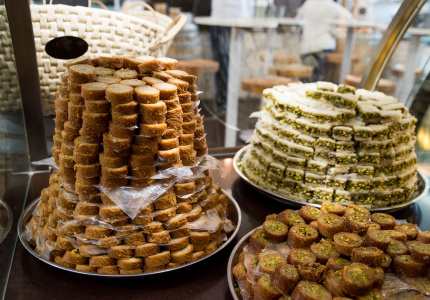 Food & DrinkIt has one of the biggest and best ranges of Lebanese sweets in Sydney. 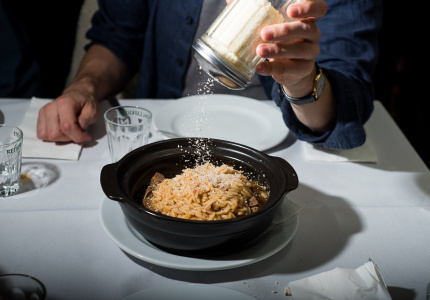 Food & DrinkPasta and wine from Piedmont, one of the richest cuisines in Italy. 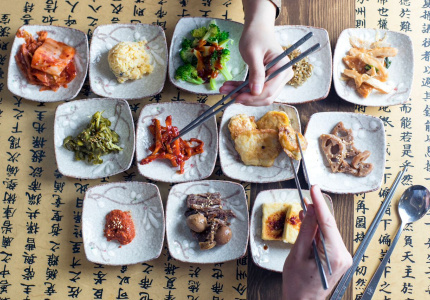 Food & DrinkFive different types and where to get them. 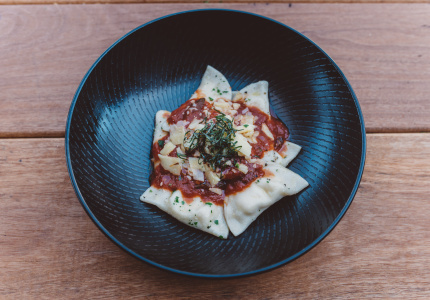 Food & DrinkThe only restaurant in Sydney to get Ukrainian cuisine. 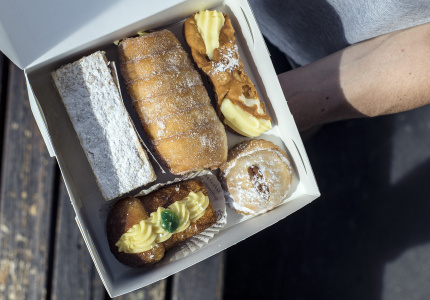 Food & DrinkWhere Sydney’s Maltese community goes for pastizzi, rabbit spaghetti and deep-fried date biscuits. 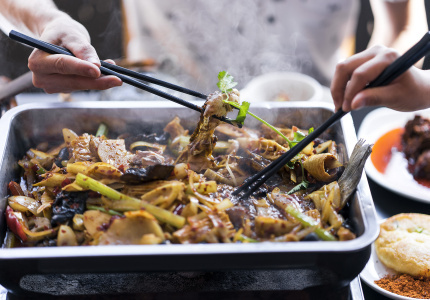 Food & DrinkSpicy hot pots and Chinese-style bacon stir fried with dried chilli and smoked duck – have you ever tried Hunan food? 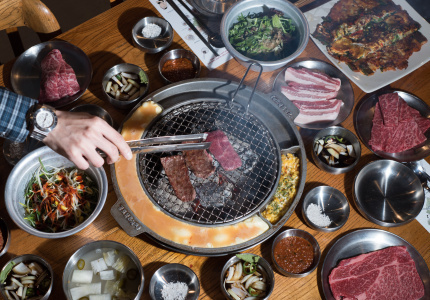 Food & DrinkWe’re confident in calling this the best Korean barbeque in Sydney. 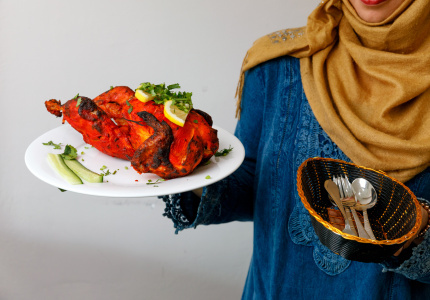 Food & DrinkButtery, soft biryanis and rich Bangladeshi brunches with handmade paratha, stews and chilli scrambled eggs. 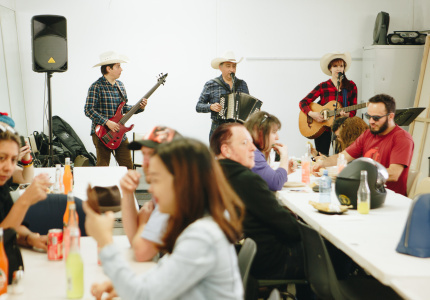 Food & DrinkSydney’s only genuine Mexican street food. 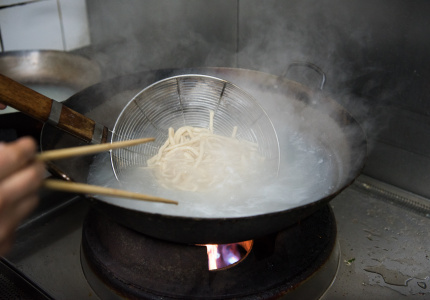 Food & DrinkHand-pulled noodles, Western Chinese dumplings and a lamb pie simply called “meat bread”. 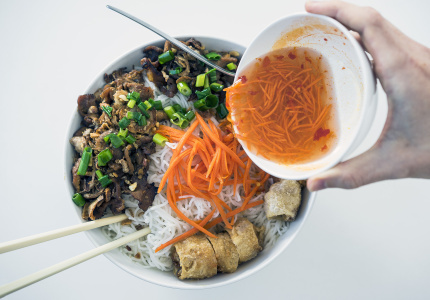 Food & DrinkWhere to try a range of Vietnamese noodle soups (other than pho). 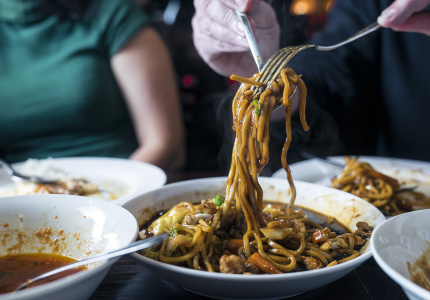 Food & DrinkYou won’t find Mongolian lamb at Sydney’s only Mongolian restaurant. 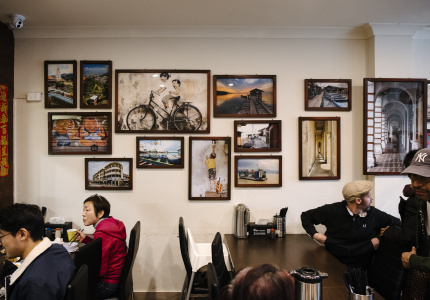 Food & DrinkThe column’s writer and photographers share their memories covering Sydney’s cuisines and cultures. 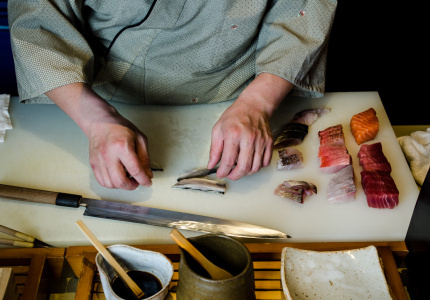 Food & DrinkA three-hour sushi degustation hidden in a teppanyaki restaurant on the lower north shore. 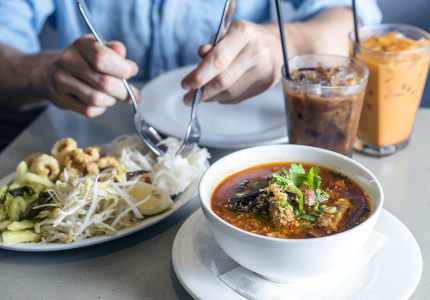 Food & DrinkA Haymarket restaurant serving spicy, pungent Thai food. 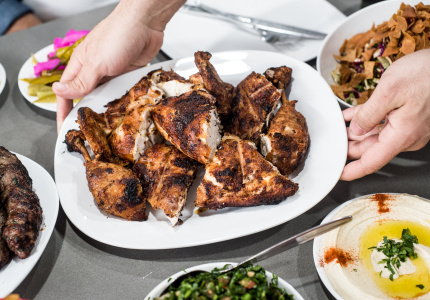 Food & DrinkSydney's original Lebanese charcoal chicken and the best garlic sauce. 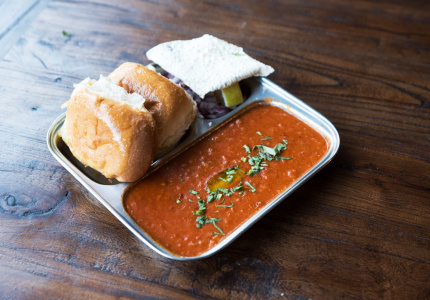 Food & DrinkSome of the city’s best street food, served until 4am. 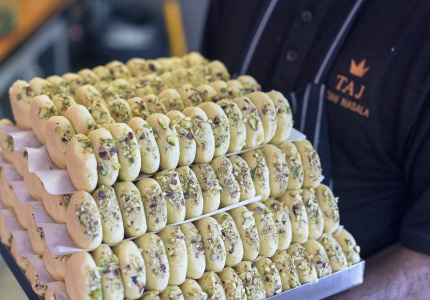 Food & DrinkNorth-Indian classics and Punjabi specialities from a Harris Park institution. 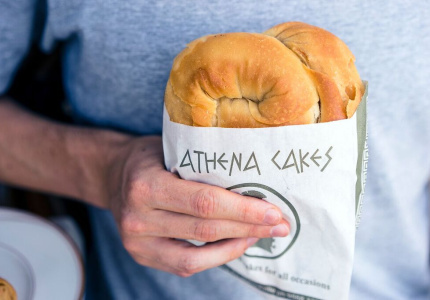 Food & DrinkThis Sutherland restaurant is one of the only places to find Greek “auntie food”. 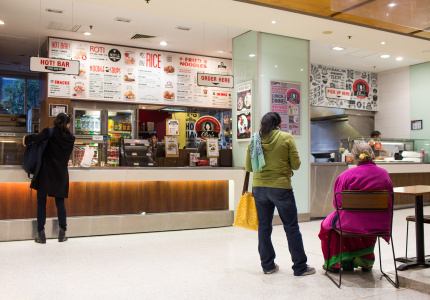 Food & DrinkA CBD food-court stall selling incredible Malaysian sweets and fried noodles. 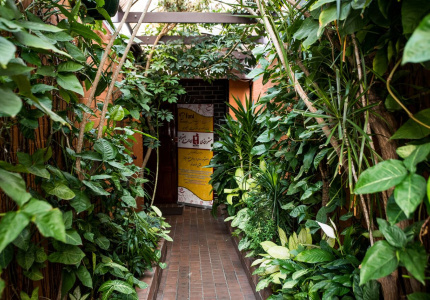 Food & DrinkA hidden Haymarket restaurant with a menu that covers Filipino drinking food. 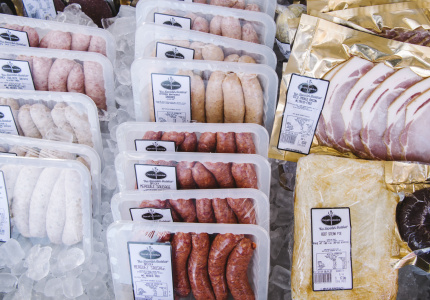 Food & DrinkTraditional Scottish haggis, black pudding, tattie scones and fresh Scotch pies. 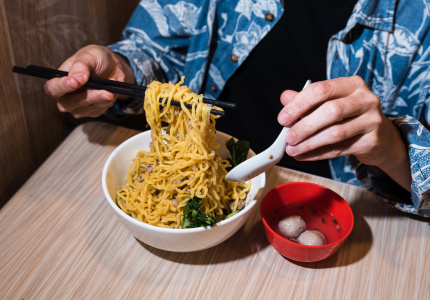 Food & DrinkThis Kensington restaurant is known for bakmi – a choose-your-own Indonesian dish of noodles, meat and bok choy. 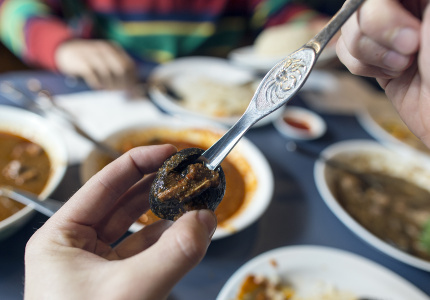 Food & DrinkBangladeshi fish curry, biryani and fuska. 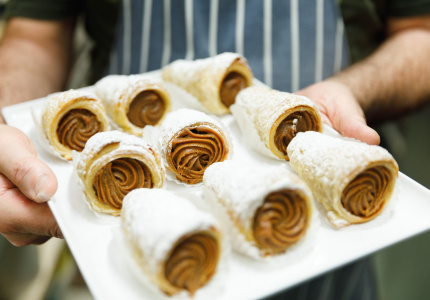 Food & DrinkA 28-year-old Clovelly cake shop with the most incredible Hungarian strudel. 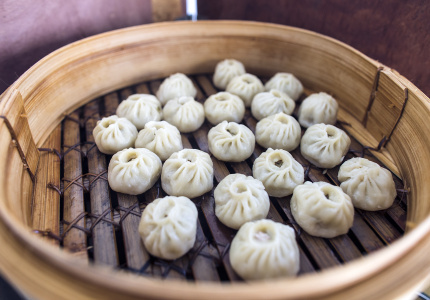 Food & DrinkThis tiny Burwood takeaway shop does some of the best Shanghainese dumplings in Sydney. 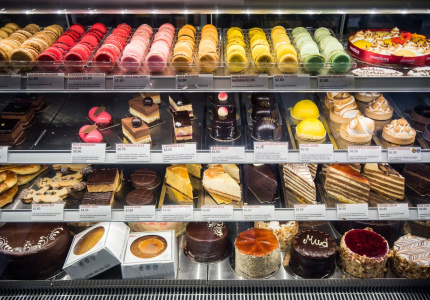 Food & DrinkA small, easy-to-miss cafe inside a mall does incredible Brazilian cakes and home-style meals. 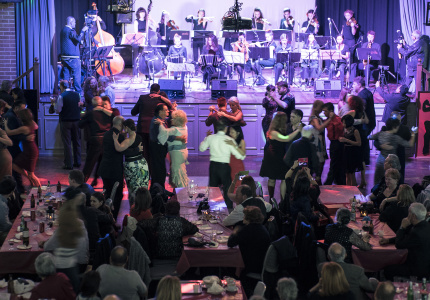 Food & DrinkSweets and souvlaki plus shots of grappa and dancing on a Saturday night. 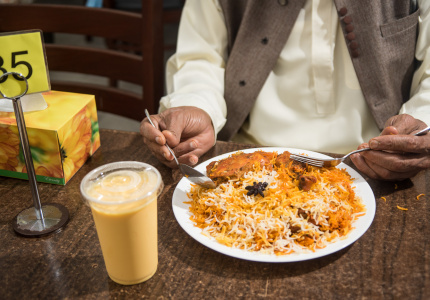 Food & DrinkWith five-person buckets of biryani for $8 per person. 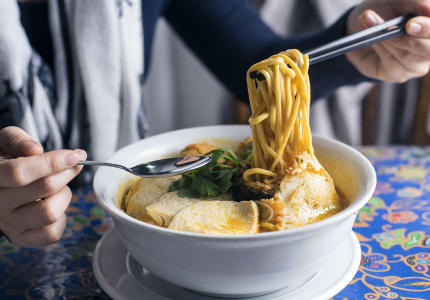 Food & DrinkThis tiny restaurant has been serving some of the best Thai noodles in Sydney for more than 25 years. 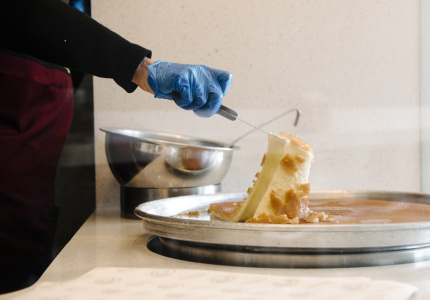 Food & DrinkOne of Sydney’s best scoops is in a Campbelltown shopping centre. 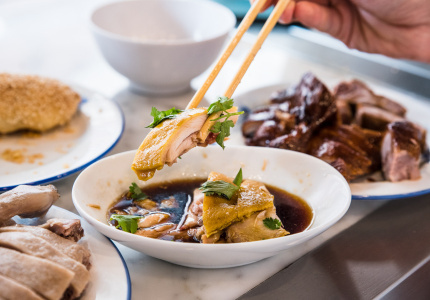 Food & DrinkIf you want to try northern Vietnamese food in Sydney, this is where to go. 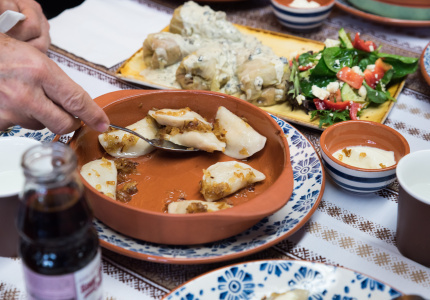 Food & DrinkSerbian food made the traditional way. 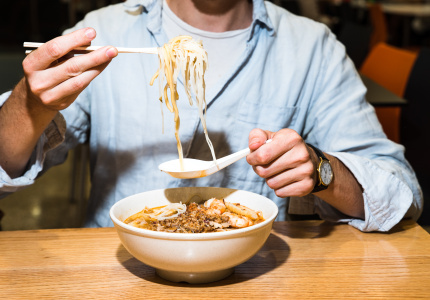 Food & DrinkA guide to Chinese cuisines and where to find the best in Sydney. 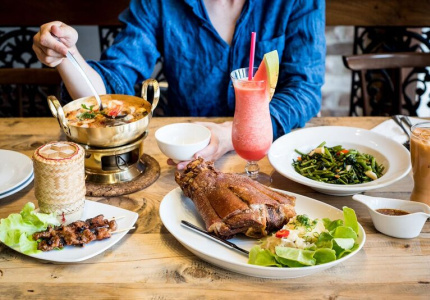 City FileCentral Thai food from a German-style microbrewery. 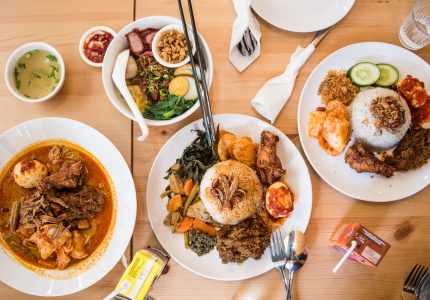 Food & DrinkTry rendang curry and fried chicken at a new restaurant serving dishes from one of Indonesia's food capitals. 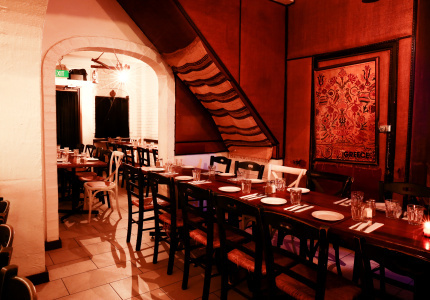 Food & DrinkA traditional Persian restaurant that looks and feels like a little hotel. 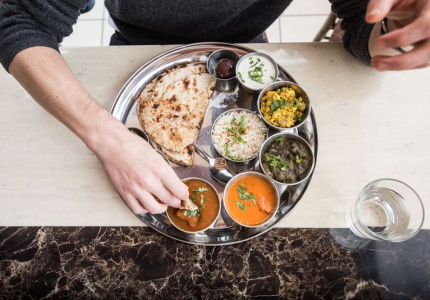 Food & DrinkEverything’s laid out on the table – no plates, no cutlery. Just fight for what you want. 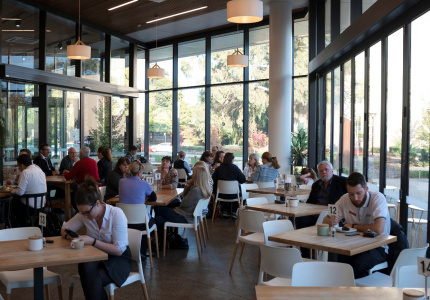 Food & DrinkThe Burmese community is very excited by this new restaurant. 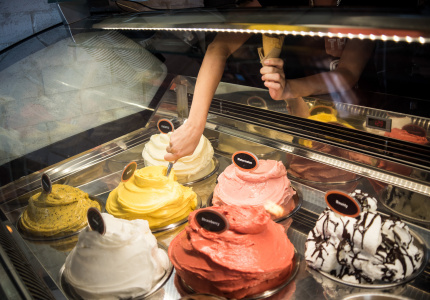 Food & DrinkSicilian granitas and traditional gelatos in Wareemba. 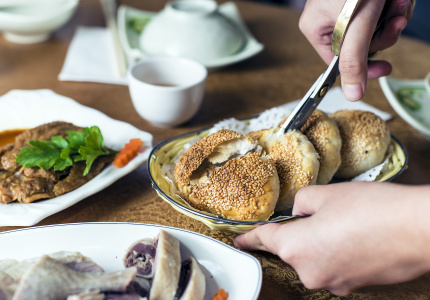 Food & DrinkA rare kind of soup dumpling, sweet-and-salty pork belly and smoked fish – some of the best Shanghainese food in Sydney. 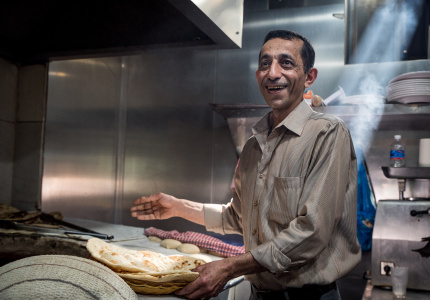 Food & DrinkHuge, tandoor-cooked Afghan breads for $1.40 and a restaurant next door with biryani, kebabs and curries. 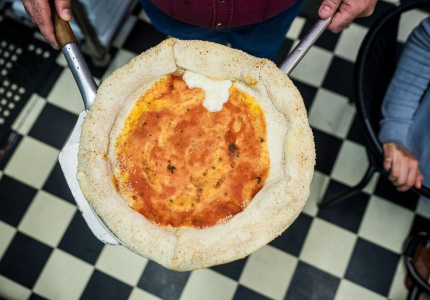 Food & DrinkA tiny Brazilian pizzeria in Bronte does an all-you-can-eat pizza service, starting with Brazilian street snacks and ending with dessert pizzas. 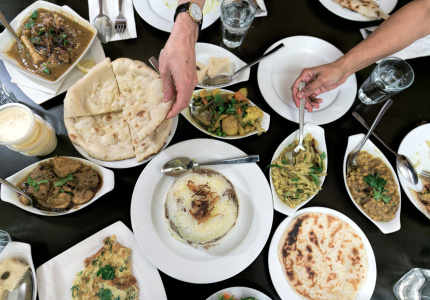 Food & DrinkRice with goat, rice with lentils, rice with potatoes, rice with butter – this is where to try the gamut of Bangladesh’s mixed-rice dishes. 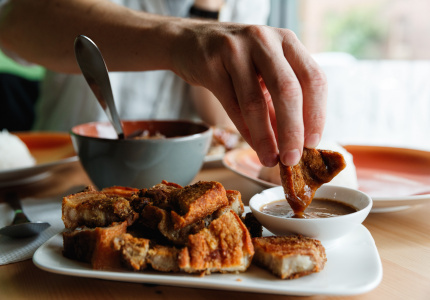 Food & DrinkThe best way to eat it: chicken skin, garlic sauce, chicken, a slice of pickle, chips and more garlic sauce. 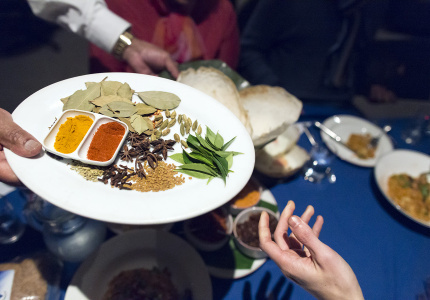 Food & DrinkHave you tried Malaysian-Indian cuisine? 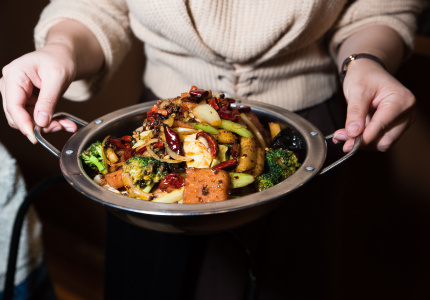 Food & DrinkSour, spicy and very different – this is the place to try one of China’s lesser-known cuisines. 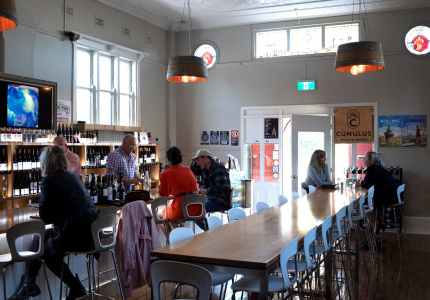 Food & DrinkPolish beers and dumplings in the restaurant; poppy seed cakes and doughnuts in the cafe; and handmade charcuterie and pickles in the deli. 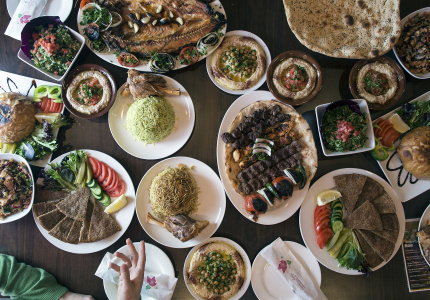 Food & DrinkThis legendary, 20-year-old Iraqi restaurant in Fairfield serves a mean roasted barramundi. 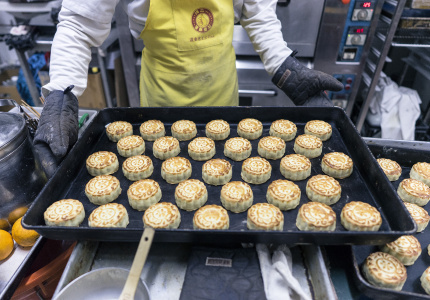 Food & DrinkWith the Moon Festival around the corner, we find a Taiwanese bakery making some of Sydney’s only fresh mooncakes. 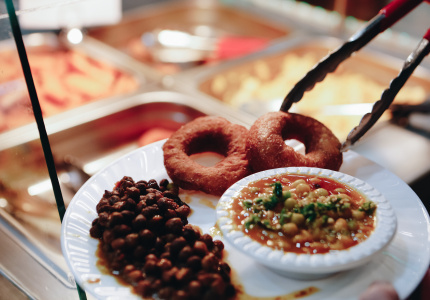 Food & DrinkHelensburgh’s Hindu temple runs a vegetarian canteen on the weekend serving savoury Indian doughnuts, dosa, biryani and deep-fried flat breads. 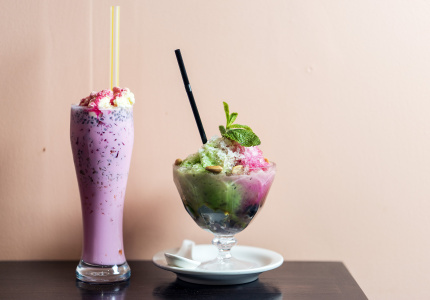 Food & DrinkA Persian sweet shop in Merrylands and Granville. 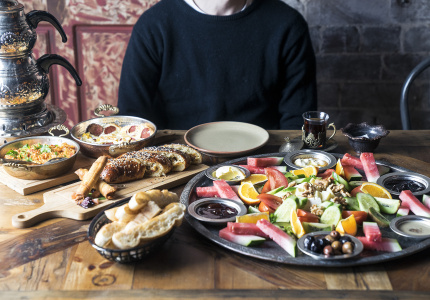 Food & DrinkAn old homewares store in Newtown serving incredible Turkish breakfasts. 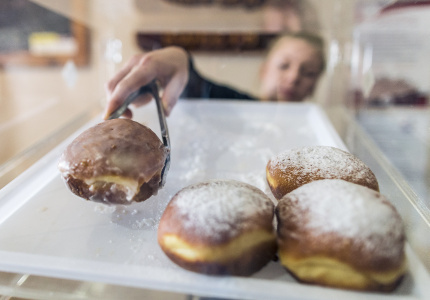 Food & DrinkThe best Polish doughnuts in town, hands down. 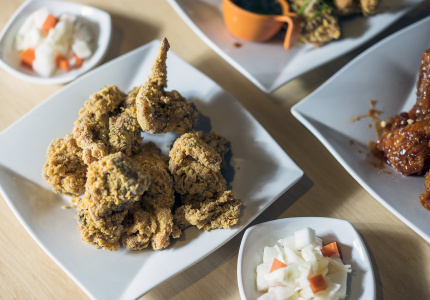 Food & DrinkTender fried chicken, shaken noodles Bandung-style and more varieties of cracker than you can try in one visit. 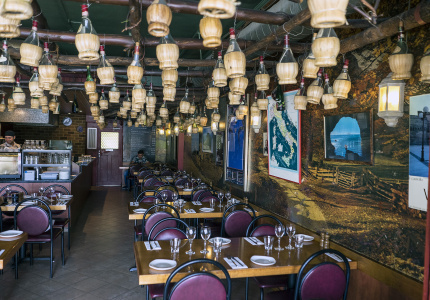 Food & DrinkFrom this restaurant, Little Portugal in Petersham grew. 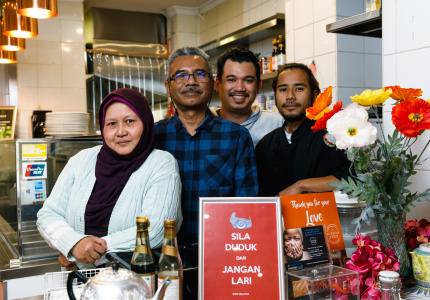 Food & DrinkThe only Malaysian restaurant in Sydney that specialises in Malay food. 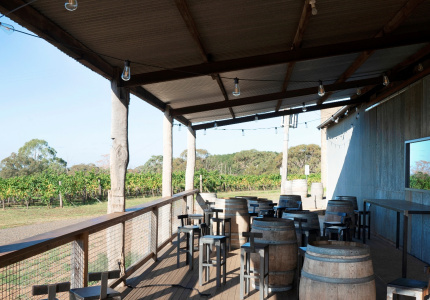 Food & DrinkThe Muglan serves the food of the inns and homes of the Himalayas. 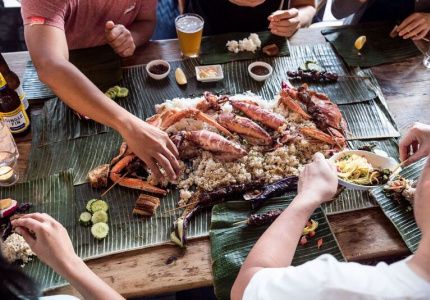 Food & DrinkThe best Filipino food in Sydney is found in Blacktown. 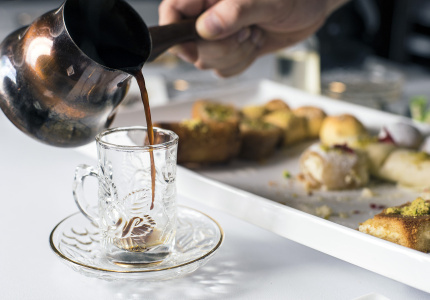 Food & DrinkAfghani breakfasts, Lebanese shortbreads stuffed with dates, Malay rendang and a festive Indonesian rice-cake salad. Food & DrinkThe place to go for a ridiculously cheap Thai breakfast. 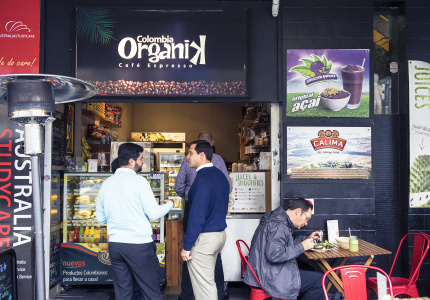 Food & DrinkIt looks like an average cafe, but it sells some of Sydney’s best Colombian food. 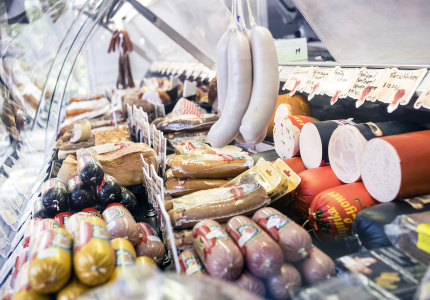 Food & DrinkAn award-winning German butcher serves meat platters, traditional frankfurter rolls and some incredible liver cheese. Food & DrinkOne of the best Malaysian eats in Sydney can be found in Kingsford. 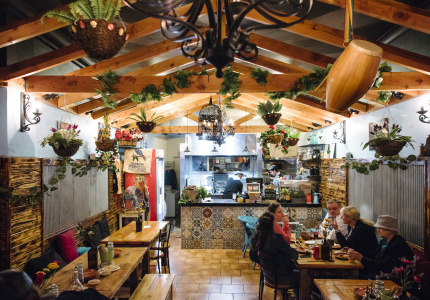 Food & DrinkAn open-fire South American barbecue, Uruguayan cakes and a really good vibe. 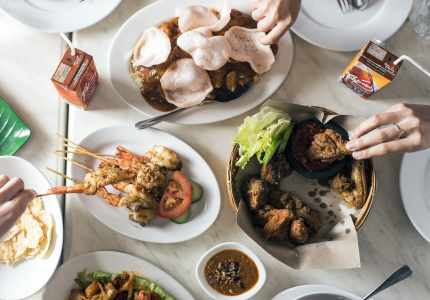 Food & DrinkForget the Deep South, have you ever tried Indonesian fried chicken? Food & DrinkThe only place you’ll eat toast on a skewer. 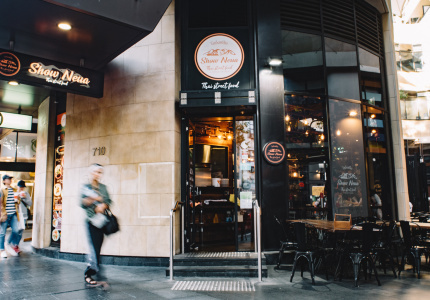 Food & DrinkOne of the best $4.50 you’ll spend in Sydney. 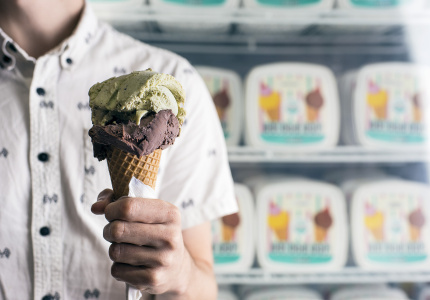 Food & DrinkOne of the best scoops of gelato in the world, and hardly anyone in Sydney has heard of it. 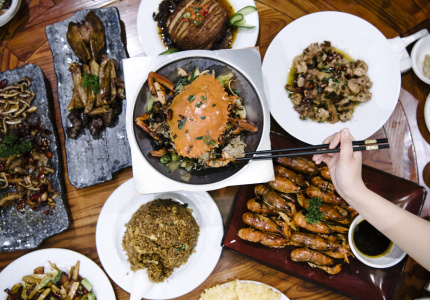 Food & DrinkTry Huaiyang cuisine, one of China’s popular regional fare. 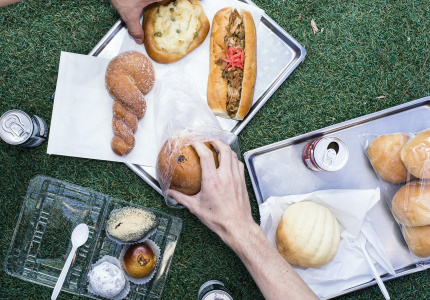 Food & DrinkTry doughnuts filled with custard or apricot jam; glutinous rice dumplings dusted in soy-bean powder, and pillowy buns packed with mashed red beans. 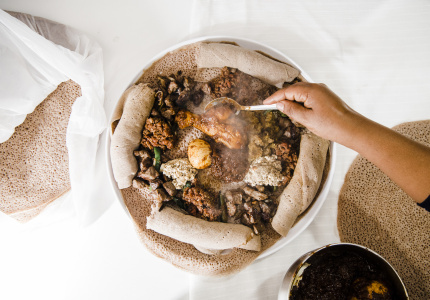 Food & DrinkHave you ever tried a znood? 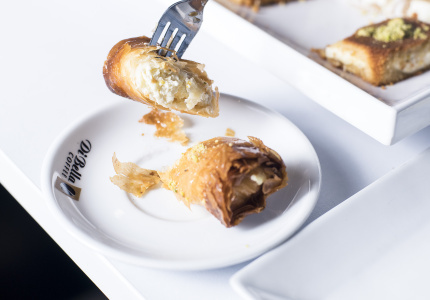 It’s like a deep-fried spring roll filled with clotted cream. 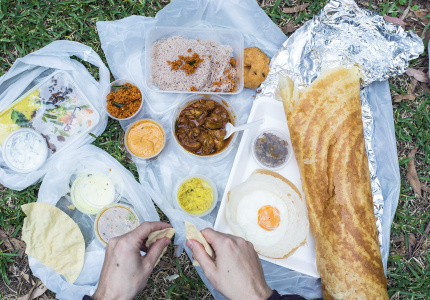 Food & DrinkA hidden takeout joint is doing some of the best and cheapest Sri Lankan food in Sydney. 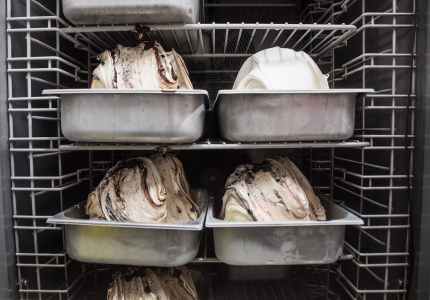 Food & DrinkLeichhardt’s 64-year-old Italian cake shop still makes the same cakes it did in 1952. 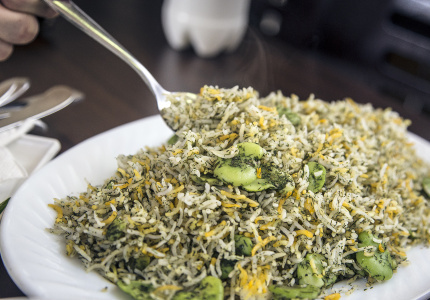 Food & DrinkThis Persian restaurant is busiest during its community’s New Year celebrations. Food & DrinkJoin people from Northern Thailand eating the food of their childhood. 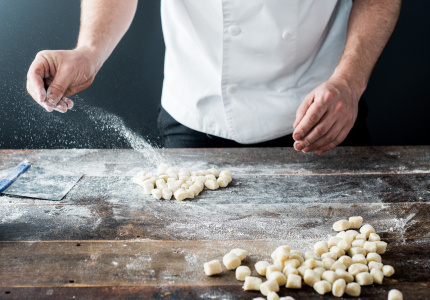 Food & DrinkFive Dock’s 37-year-old Southern Italian darling. 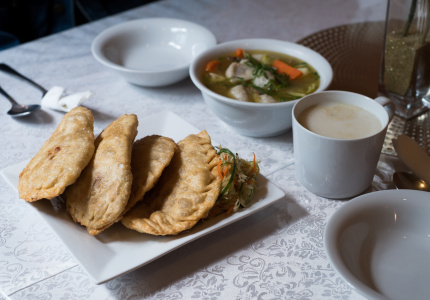 Food & DrinkSchnitzel, dumplings and vodka, served Polish style. 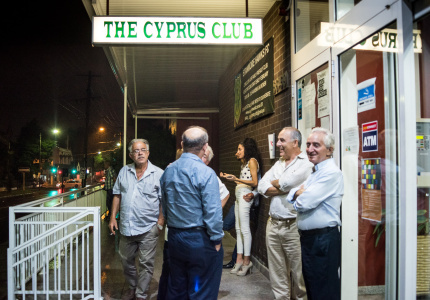 Food & DrinkThe same customers have been visiting Marrickville’s Greek cake shop for 40 years. 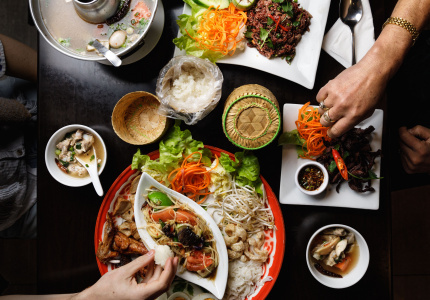 Food & DrinkVietnamese New Year feasting in Cabramatta. 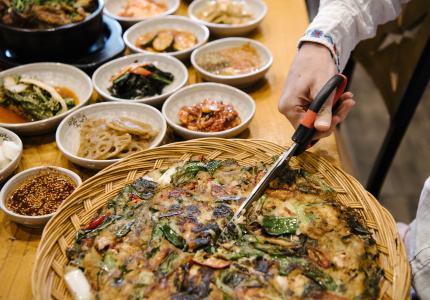 Food & DrinkThe place to eat a Korean Lunar New Year feast. Food & DrinkA Macedonian feast in downtown Newtown. 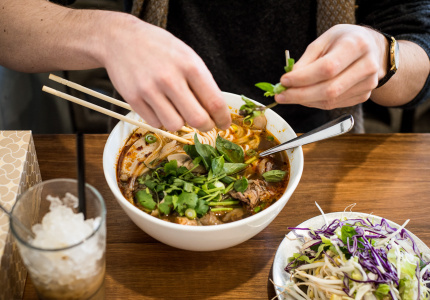 Food & DrinkSouthern-style pho, chargrilled meats and raw beef from one of the inner city’s first Vietnamese chefs. 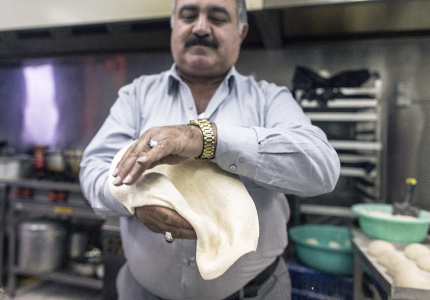 Food & DrinkLebanese banquets and breakfasts modelled on the cuisine of Lebanon’s grandmas. 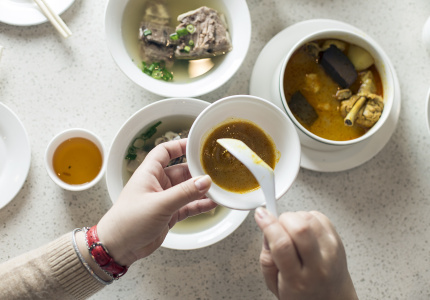 Food & DrinkIt’s like walking into the very yellow living room of a veteran Taiwanese chef. 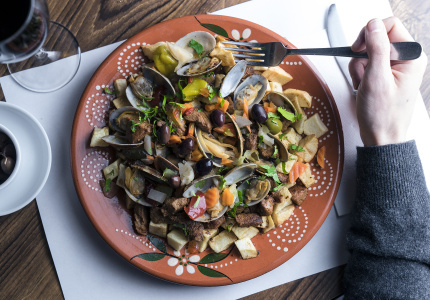 Food & DrinkPolish poppy-seed cake, Chilean Christmas cake, pennies in pastry and an epic Portuguese Christmas feast you can go to tonight. 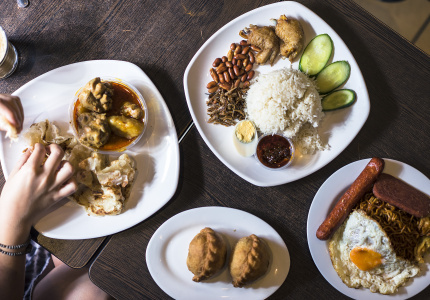 Food & DrinkMalaysian breakfast from five in the morning, just like you’d find it on the streets in Kuching. 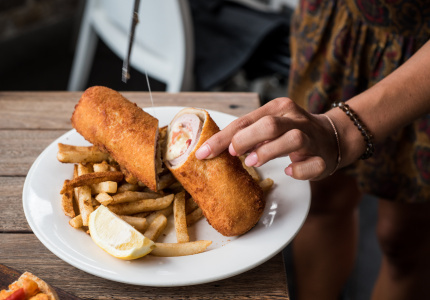 Food & DrinkYou can find the best fried chicken in Sydney at the back of a sports club in Strathfield. 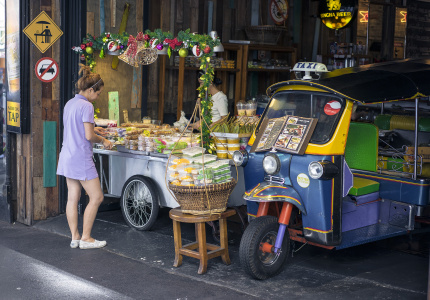 Food & DrinkA no-name, independent stall inside restaurant Thanon Khaosan serves just about every Thai sweet that exists. 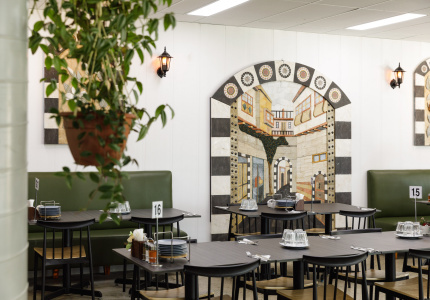 Food & DrinkThe story behind one of Sydney’s most-beloved Lebanese bakeries. 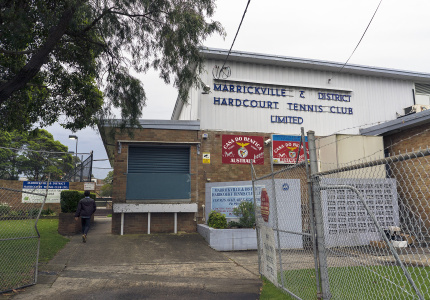 Food & DrinkAt the back of this tennis club lies one of the inner west's best-kept secrets. 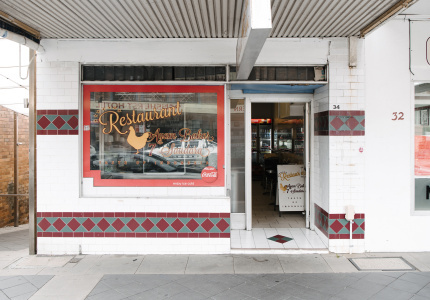 An old-school restaurant frequented only by Portuguese people, tennis players and Marrickville locals who know to ask for the seafood rice. 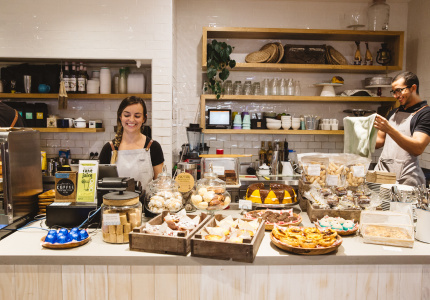 Food & DrinkDon’t leave without having a good look at the sweet selection; it’s one of the best in Sydney. 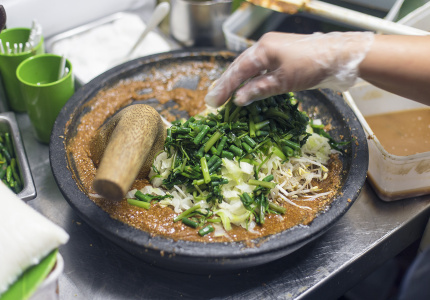 Food & DrinkWillis Canteen’s gado gado is so popular people call hours in advance to make sure they get it. Food & DrinkNever tried Bengali food? Start here. 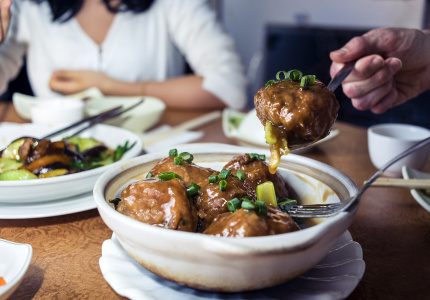 Food & DrinkRelax on some pillows enjoying tea, dumplings and slow-cooked lamb shanks. 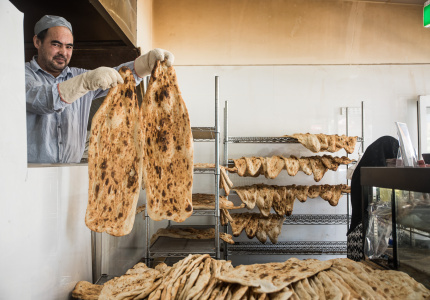 This is North Afghani food. 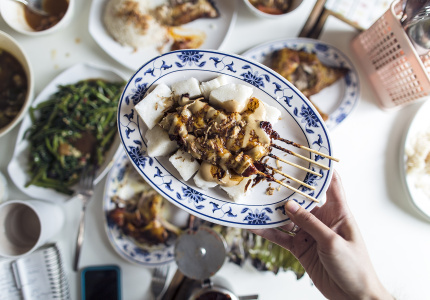 Food & DrinkPeranakan cuisine is one of the rarest in Sydney. 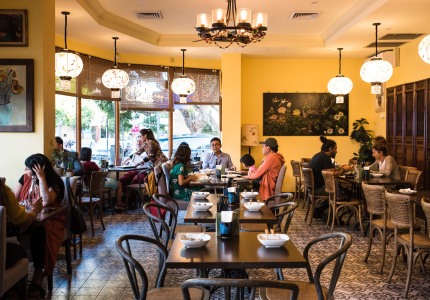 One of two places in Sydney that serves it, Peranakan Place is in Auburn. 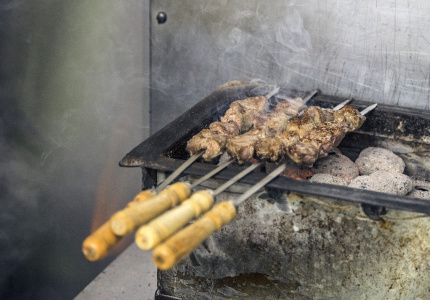 Food & DrinkAn old-school Brazilian churrascaria in Petersham, with roving meat skewers carved at the table. 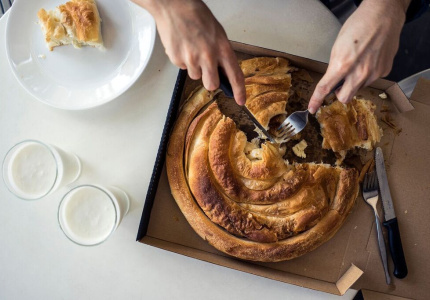 Food & DrinkMacedonian burek with buttermilk, thick coffees and homemade sweets. 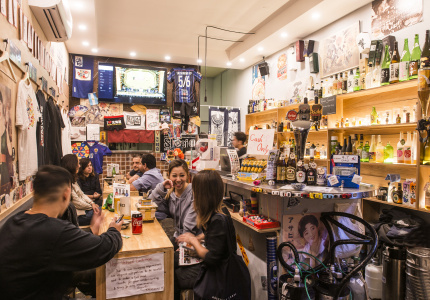 Food & DrinkA spot for traditional Japanese barbeque, where you can eat as much as you like for a fixed price. 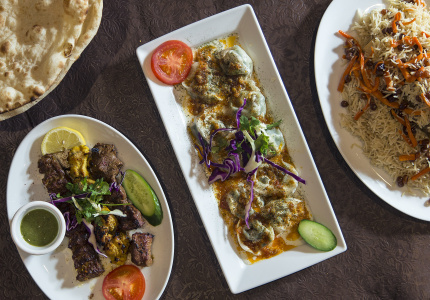 Food & DrinkLate-night Pakistani with a secret menu. 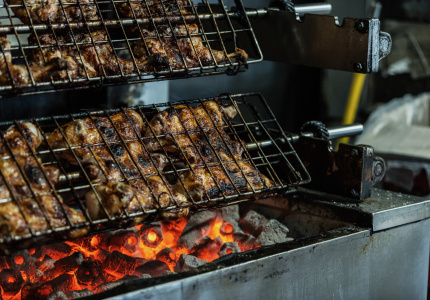 Food & DrinkSticky, tender Indonesian grilled chicken and Jakarta street food. 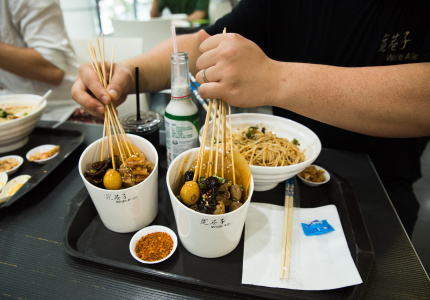 Food & DrinkWe learn how to order at this Dixon House Food Court stall. 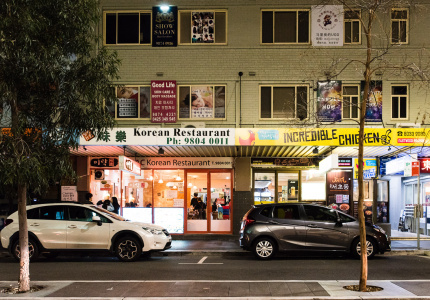 Food & DrinkDrinking food at night and hangover cures for breakfast from a Strathfield institution. 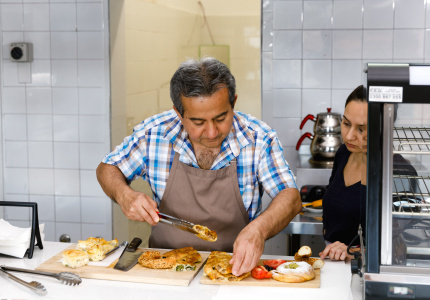 Food & DrinkA Chilean bakery making empanadas and dulce de leche cakes for 30 years. 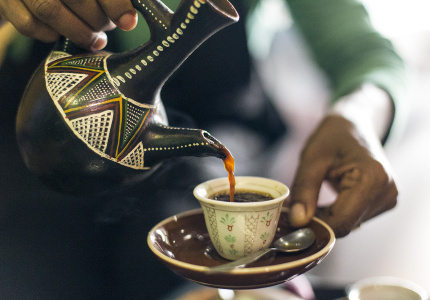 Food & DrinkHow much do you know about Fijian food? 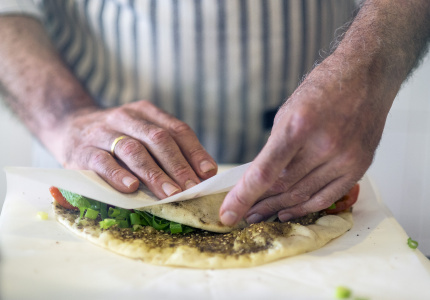 Food & DrinkIraqi flat bread, sumac-encrusted lamb skewers and cardamom tea in Fairfield. 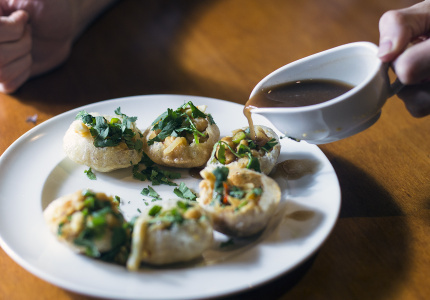 Food & DrinkA roving stall that specialises in traditional Tibetan dumplings. 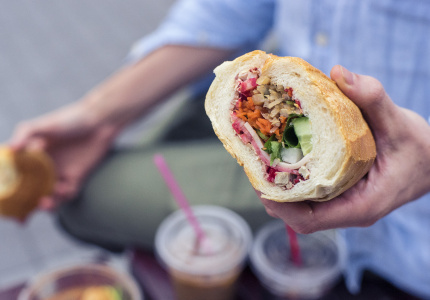 Food & DrinkThe best Khmer food in Sydney (according to every Cambodian we spoke to). 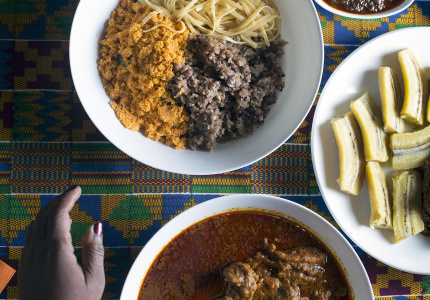 Food & DrinkA hidden menu of Ghanaian specialities. 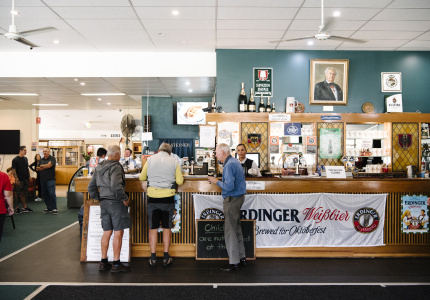 Food & DrinkThere’s (literally) only one place to eat Lithuanian food in Sydney, Bankstown’s Lithuanian Club. 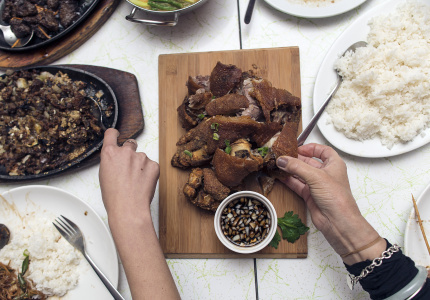 Food & DrinkIf you love pork and you’ve never tried Filipino food, you’ve got a very happy future ahead of you. 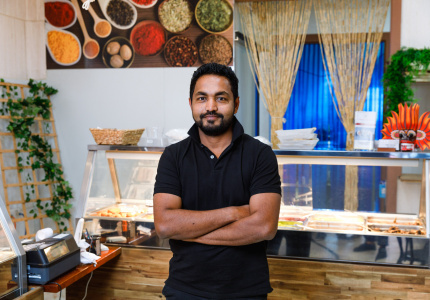 Food & DrinkA Sri Lankan restaurant with a secret menu full of surprises in Pennant Hills. 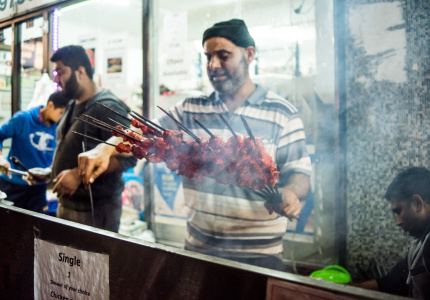 Food & DrinkNo-frills Persian meat and rice in Auburn. 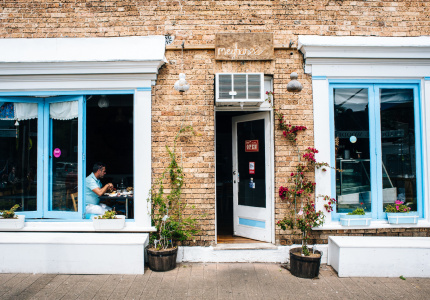 Food & DrinkFermented pancakes, raw meat, spiced butter and pan-roasted coffee – if only every community in Sydney had a restaurant as dedicated to its cuisine as Aaboll cafe. 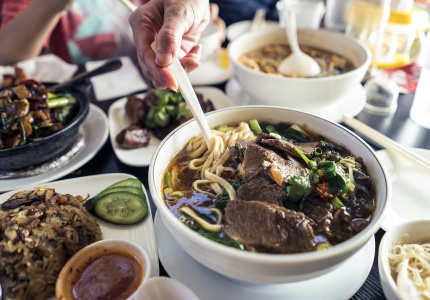 Food & DrinkFind noodles stretched to order, thin-skinned dumplings and a whole roast lamb at Burwood's portal to China's north-west. 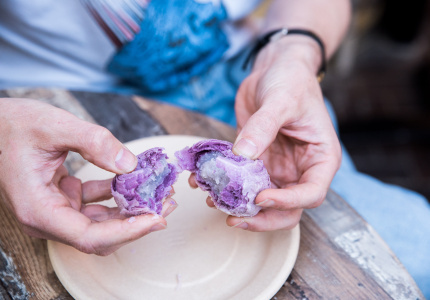 Food & DrinkA new weekly series, Local Knowledge shines a light on the unassuming, authentic Sydney restaurants that are worthy of appreciation beyond the neighbourhoods they serve. 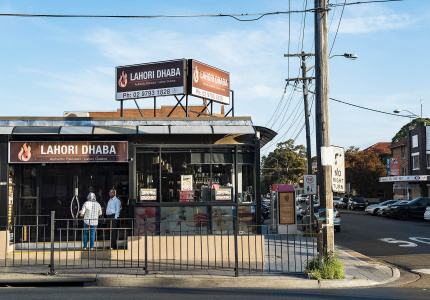 First up, Indian street food in Harris Park.